Alyza Rachel Russell, 22, is charged with DUI manslaughter for running into two pedestrians in Fort Lauderdale. The woman who struck and killed two pedestrians in Fort Lauderdale last month was released from jail on $450,000 bond Saturday afternoon. Alyza Rachel Russell, 22, was arrested Wednesday after a toxicology report showed she was at more than twice the legal alcohol limit at the time of the crash, police said. Russell posted her original bond after turning herself in, but during a court appearance, Broward Circuit Judge John Hurley raised it to almost seven times the initial amount due to concerns that she would try to leave the country. Among her charges, two counts of DUI manslaughter for the deaths of 30-year-old Mackendy Jules and 35-year-old Samuel Martindale. Russell is also charged with unlawful blood alcohol level and DUI property damage. 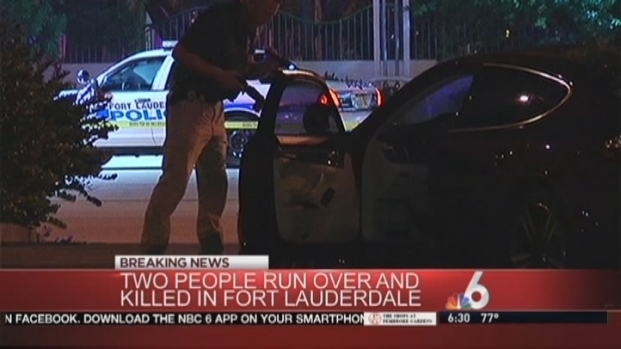 The crash happened June 13th just after 2 a.m. in the 500 block of W. Broward Boulevard. Russell tried to make a left turn in her mother's Porsche Panamera, but lost control and drove it into a nearby parking lot. Hurley has ordered Russell to surrender her passports and has said that she will have to wear a GPS monitor after being released.